Did you know you can save different configurations and access them at power-up? 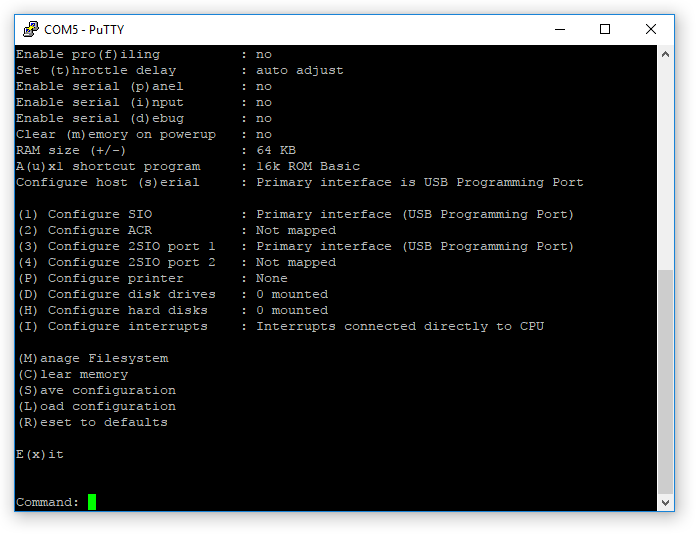 It's true, and it's much easier than always going into the configuration menu. 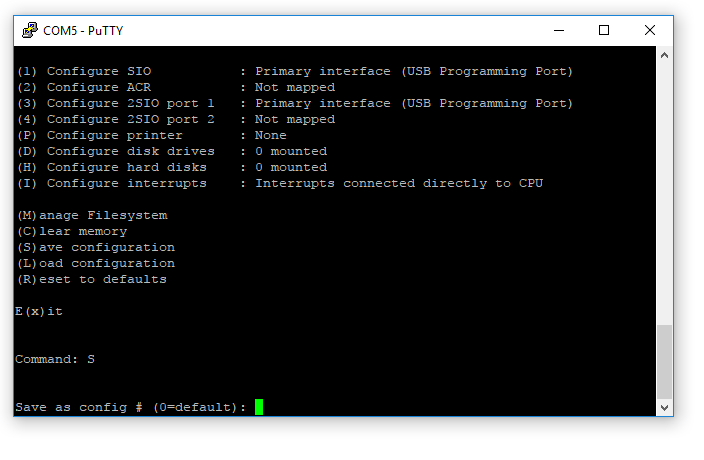 Change whatever settings you’d like, but most likely you are going to set the host serial output by pressing “s” (lowercase). 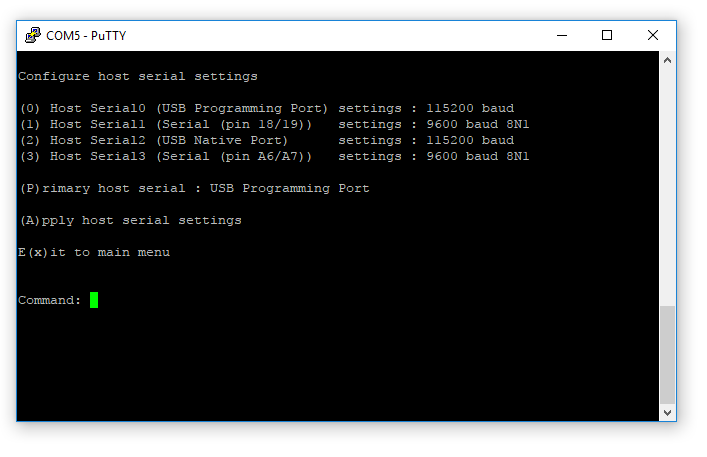 Select the default serial port by pressing “P” (uppercase) until you have selected the port you want. Press “S” (uppercase) to save the configuration, and give it a number (not zero). From now on, you will be able to start your Altair-Duino with your desired configuration by setting the data switches to the configuration number (eg. “0011” for configuration number 3) then hold the Deposit switch up while powering on the Altair-Duino. If you have an SD card inserted, these will save to STORAGE.DAT on the SD card. If you put in a different SD card, your saved configurations will not be available (unless you manually copy STORAGE.DAT).